A perfect small hamper for those who appreciate great food. Choose from one of three wines to complement a truckle of Somerset cheddar cheese, French Duck Terrine and a choice of 3 Chutneys. 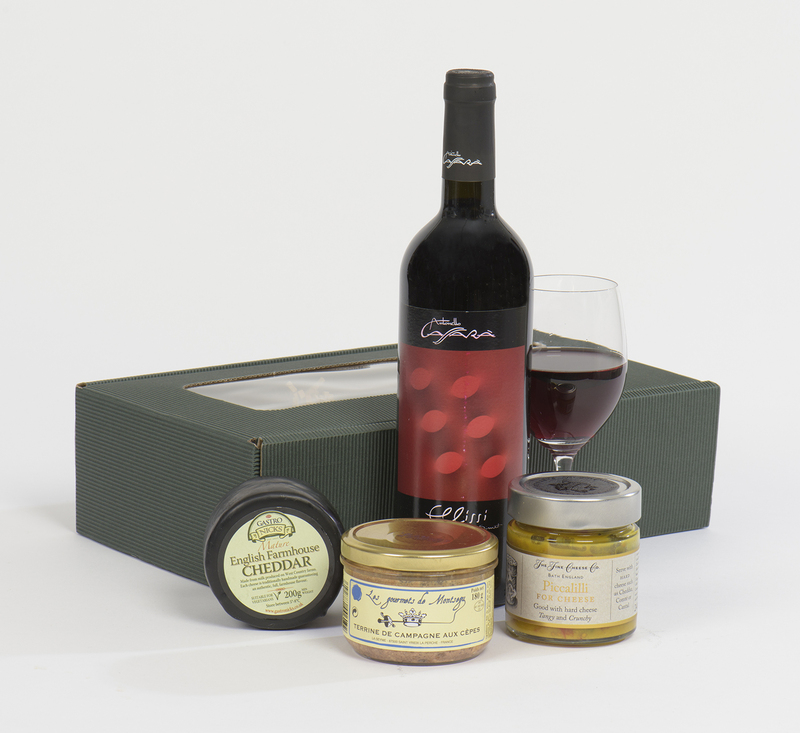 A hamper for all tastes – Italian wine, French pate, English cheese and chutney. Perfect for your weekend host! Packed for you in a ‘Gastro’ green hamper box.